Is the proposed merger between loss making South African Airways (SAA) and SA Express (SAX) a marriage made in hell brokered by SA banks? According to Banking Council chair Cas Coovadia in recent media statements, the banks are willing to answer Public Enterprise Minister Pravin Gordhan's appeal for financial assistance for failing state-owned enterprises (SOEs). Yet, in the SA Express (SAX) presentation to Parliament's portfolio committee on public enterprises in May 2018, members were told that the banks were no longer committed to supporting the airline without a clear turn-around plan. This means government - taxpayer - funding. So, why the U-turn? What sweeteners have been offered that the banks seem now prepared to absorb SAX debt into their loans for SAA? What price is the SA taxpayer in for? Banks are commercial, listed companies with shareholders and customers: have they considered the losses and the debt that SAX will bring onto SAA's balance sheet? The national airline has asked government for R21.7bn, which includes R9.2bn in debt to support yet another turn-around plan until 2021. Is further financial aid to SAA from the private banking sector justified? It may be legal but is it moral and ethical to continue to use shareholder funds to prop up a failing apartheid dinosaur which subsidies the rich to fly at the expense of the poor? SAA has not made a profit since 2011. It made a larger than expected loss of R5.6bn in 2017/8. SAX latest results "paint a grim" picture according to the portfolio committee. It is unable to meet operational financial obligations, or pay bills on time, or have its latest financial statements signed off by the Auditor-General. The recent grounding of its fleet due to non-compliance with safety issues is a major concern. Gordhan has said that the reason for the merger of the three airlines (including Mango), is to rationalise the utilisation of aircraft and routes to improve operational efficiency, just two of a myriad of problems at SAA. The R21.7bn excludes the purchase of new planes which are essential if SAA is to remain competitive in the international aviation market. 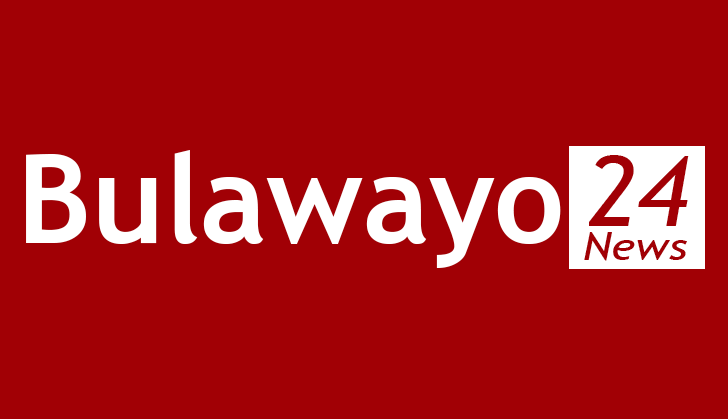 CEO Vuyani Jarana called this a "catch 22" situation. This fact alone renders any further state financial aid irrelevant and irresponsible. Government has stated there will be no more bailouts, despite a leaked report that R59bn will be made available for SOEs. Government guarantees for SAA stand at R19.1bn. Would further bank lending then mean raising the level of guarantees to cover both SAA's debt requirement - the R22.7bn on the table - and the debt dowry that SAX will bring to the SAA bed? The final amount is anyone's guess. Of course, the bank are, well, laughing all the way to the bank. It is risk free business at likely higher than normal interest rates. So what if SAA defaults on its debt, government will never default on its guarantees as this would mean SA Inc is bankrupt. Or would it? Government guarantees to SOEs stand at more than R450bn, according to data from the National Treasury, and this debt has been flagged as a serious concern by credit-rating agencies. Local and international banks have been complicit in allowing SOEs to continue their mismanagement, looting and wasteful expenditure by constantly extending loans to corrupt and technically bankrupt SOEs. 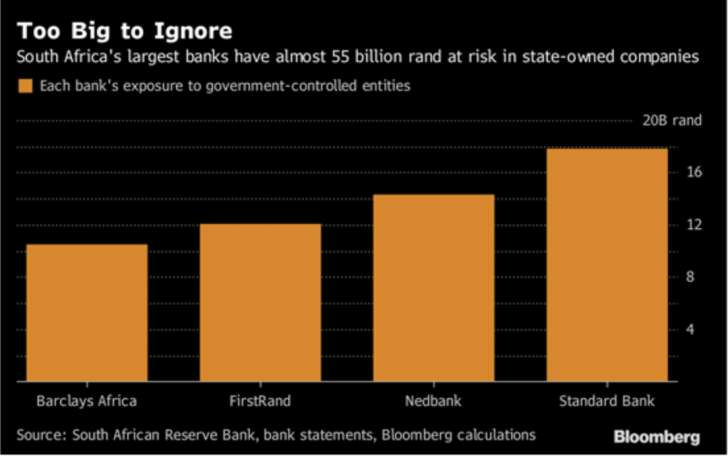 The total loans and bonds extended by South Africa's biggest banks to struggling SOEs amounted to R54.6bn by end September 2017, according to central bank data. (Source Bloomberg).